Paintings in the Setups series are explorations of color and ambiguous, vertiginous spaces. Setup 7 in the kitchen. 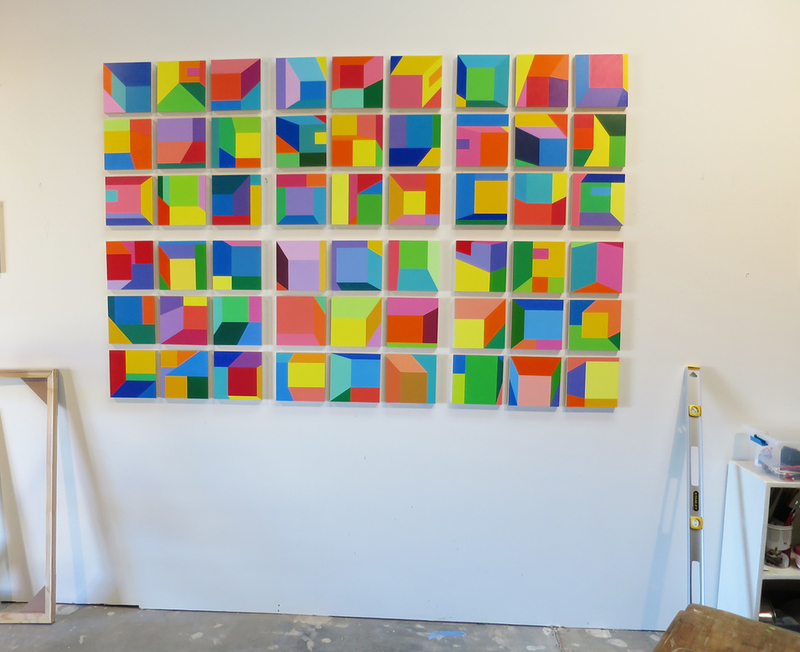 Acrylic on panel, each panel 8 x 8", overall 26 x 26"
Setup 8. Acrylic on panel, 9 panels. Each panel 8 x 8", 26 x 26" overall.